I feel bad – not only does Y have only 1 leg, he(?) has no arms! Clearly $x$ is male and $y$ is female. Haven’t figured out how I’ve always known this, though. @aj: Traditional gender imagery, dude usually holds the umbrella? 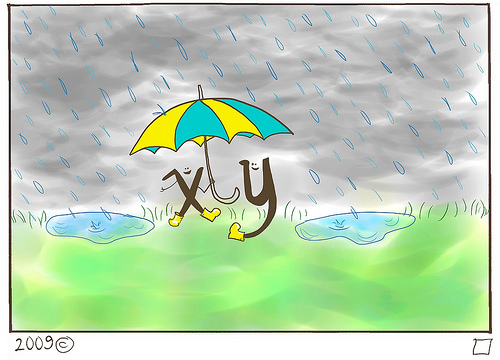 It’s the dot product of x and y. transpose looks a little like an umbrella.